Designed for snow but more than stylish enough for the streets, the Volcom Fawn Insulated Snowboard Jacket will keep you warm all winter long. Because this jacket has a 10K waterproofing rating, snow and ice will bead up and drip off this ski jacket instead of being absorbed - making it perfect for storm skiing. This two-layer jacket has a breathable lining system filled with 80g of insulation - 60g on the arms - to trap body heat and warm your core. 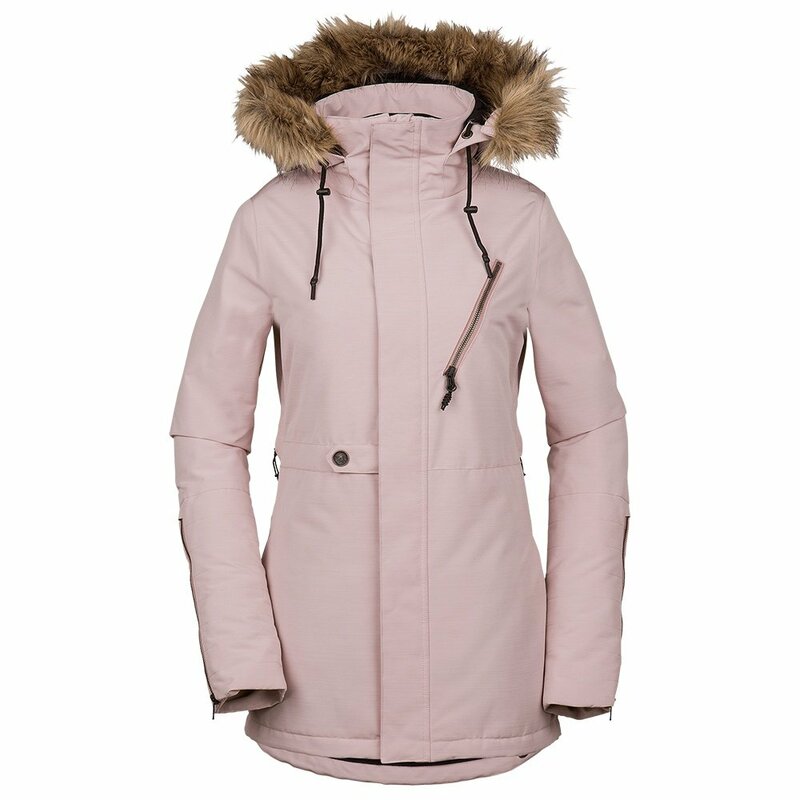 The Fawn Insulated Jacket is awesomely flattering no matter what size you wear, with an EQS long fit that accentuates the waist and adds an extra two inches of length. Volcom’s ZipTech® technology connects this jacket directly with matching Volcom ski pants for a seamless barrier against the snow. Remove the fur detailing for skiing, and reattached it for a modern evening look. Goggle and media pockets, adjustable hems, and mesh-lined vents add convenience.